Didier Drogba charity findings ''coming to a close"
A report into the "serious regulatory concerns" surrounding a charity run by Didier Drogba is due to be released by the Charity Commission within a month. In April, the Daily Mail claimed that just £14,115 out of £1.7m donated to the Didier Drogba Foundation had gone to help causes in Africa. The Charity Commission launched an investigation into the case, and says that is now "coming to a close". 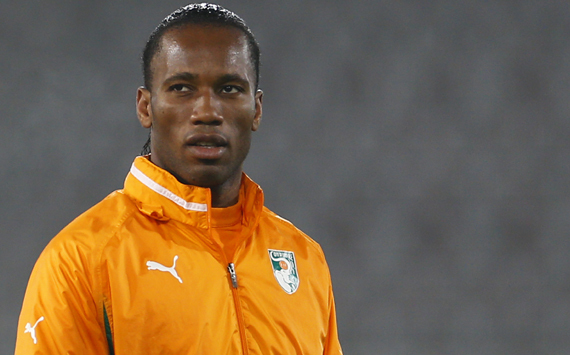 Ex-Chelsea striker Drogba, 38, said the story was "false and defamatory". He previously said in a statement: "There is no fraud, no corruption, no mismanagement and no lies." The Mail said it "stands by every word of this important story" and had not alleged corruption or fraud. The Didier Drogba Foundation was set up in the Ivory Coast in 2007 and registered in the UK as a separate entity in 2009 to allow Drogba to raise funds while in England playing for Chelsea.